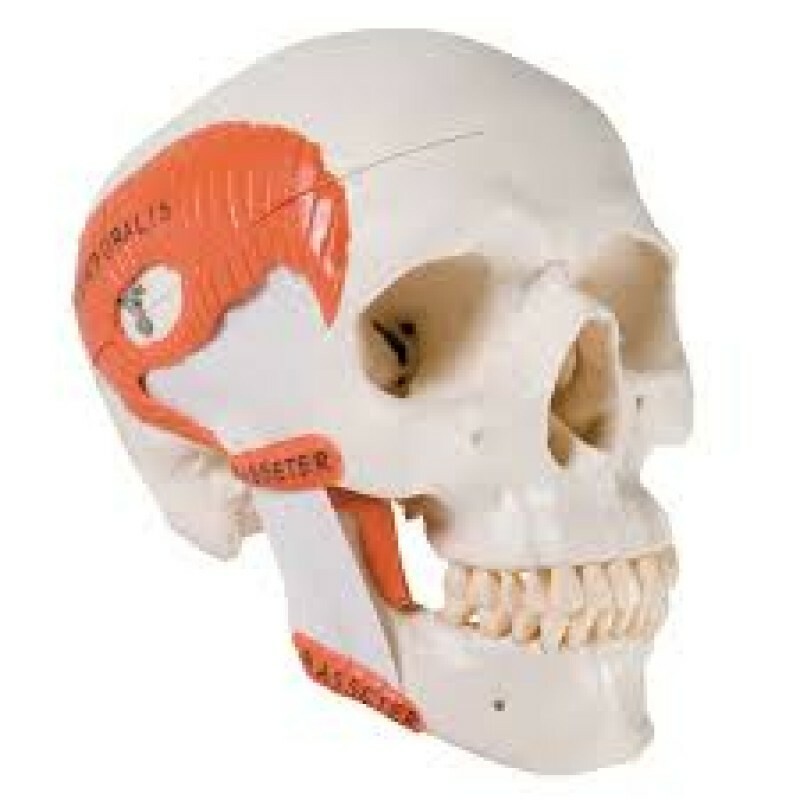 Helio USA Inc. TMJ Human Skull Model, demonstrates functions of masticator muscles, 2 part Helio USA Inc. In this human skull model the masticatory muscles (masseter, temporal, medial and lateral pterygoid muscles) are represented as elastic bands. 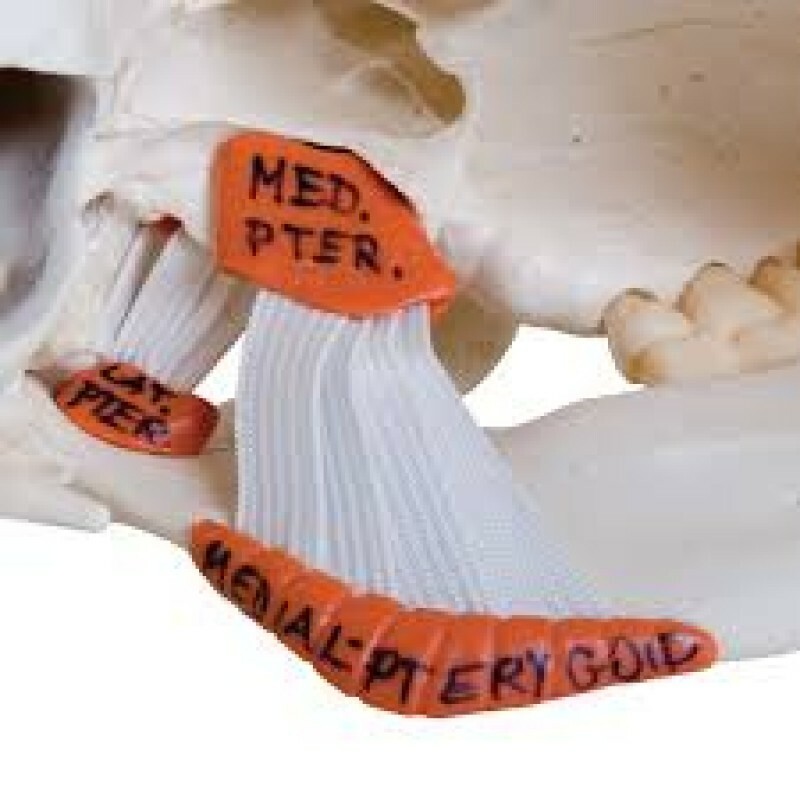 This skull model is suited to demonstrate the function of the masticator muscles with jaw occlusion, the initial stage of jaw opening and the movements of the mandible to the side and front. The skullcap is removable. 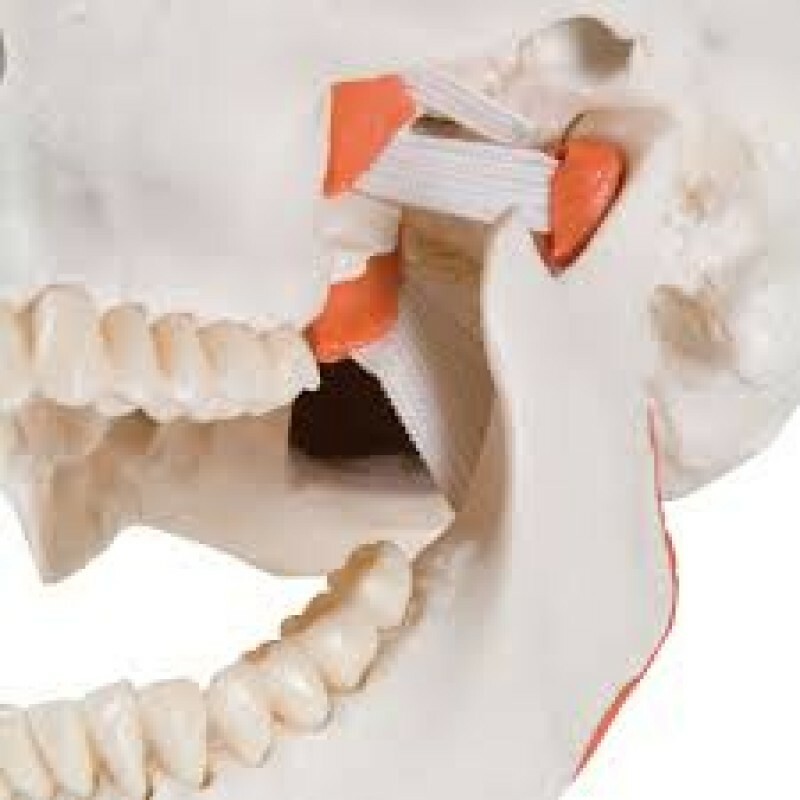 The anatomy of the human skull is displayed in a distinctive way with this TMJ skull.